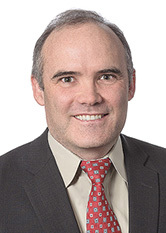 James Sullivan's primary practice focus is corporate restructuring and bankruptcy, distressed situations and complex commercial disputes. He brings a wealth of experience representing creditors' committees, corporate debtors, banks, secured and unsecured creditors, trustees and distressed investors in large Chapter 11 cases. James has handled a range of cases for his clients in litigation, trial and mediation. On the transactional side, he counsels borrowers and lenders in matters involving corporate and acquisition financing. He also appears before numerous federal and state courts throughout the country on these matters. Prior to joining Windels Marx, he was a partner at the law firms of Moses & Singer, Arent Fox and McDermott Will & Emory. He regularly authors and lectures on numerous topics concerning bankruptcy, and is an experienced pilot who enjoys skiing and scuba diving.